In hindsight, one of the best decisions Jacqui made was to book us on the Ocean Endeavour. 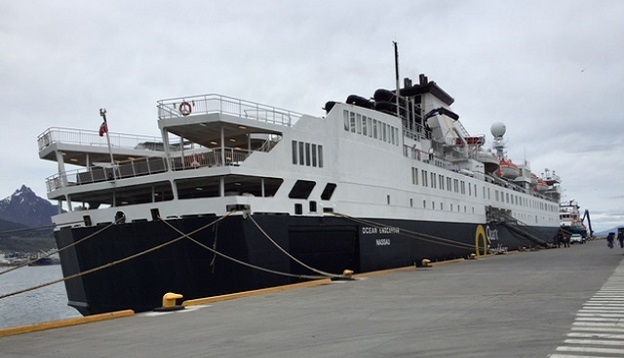 This particular ship is an expedition ship rather than a cruise ship, with a maximum of 200 guests and the ability to access many nooks and crannies throughout Antarctica. Prior to boarding the Ocean Endeavour at Ushuaia (above) in Argentina we spent a couple of nights exploring this little coastal town, which is unique in many ways. The town is set on the edge of a beautiful harbour, with an airport positioned close by and visible from the town. There is an obvious contrast in living conditions as you make your way from the airport, with shanty town-type dwellings, surrounded by quite modern and upmarket hotels and shops only a short drive away. We departed Ushuaia on board the Ocean Endeavour and made our way through the Beagle Channel, heading towards the dreaded Drake Passage! We had been warned by others that the conditions on the Drake Passage can be brutal but we enjoyed smooth sailing all the way. The twin cabin we were appointed was compact but very comfortable and as we unpacked we were astounded to find that there was a place for everything! The food and service on the ship was fantastic, with the staff always greeting us by name and treating us like family. Whilst there was a wide range of ages amongst the passengers we were surprised to see many young people on the ship. After chatting to some of them we discovered a common theme – they were ticking off their lists too – of the number of continents they had already travelled to! As Antarctica is considered the 7th continent of the world this was the last continent for many of them. We did a quick count of our previous travels and discovered we had actually visited 6 (counting Antarctica) and have only Africa to conquer but had not realised this until now. On the Ocean Endeavour (above) there is a team of Expedition Leaders who are all experts in their own fields. Many have degrees and even PHDs and share their amazing knowledge with the passengers at evening presentations. 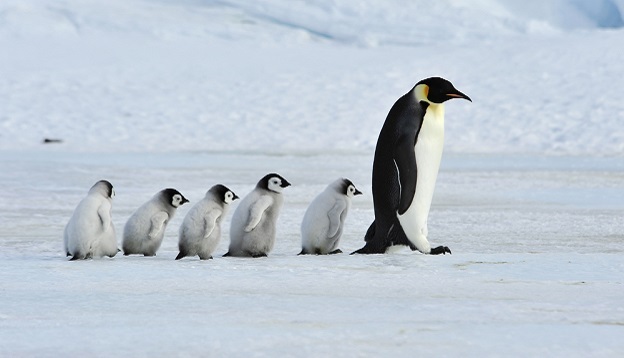 Who knew there was so much to learn about icebergs, whales, penguins and Antarctic bird life. Both of us being ex-teachers lapped up the wealth of information they shared and enjoyed learning about creatures we hadn’t even heard of before! 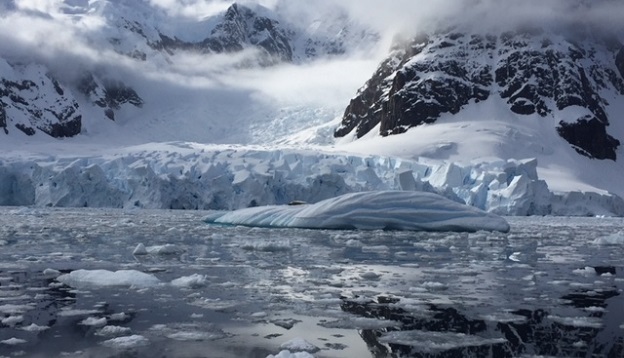 Words cannot describe the feeling of awe you experience as you sail into Antarctica and see the icebergs, the snow, the wildlife and the pristine waters. It is in such stark contrast to what we see on a daily basis in our everyday lives. The best way to describe the isolation and natural beauty is to say it was like being on a different planet altogether. The stillness and the extreme conditions was completely alien to us but at the same time, extraordinary. Each day we were taken in zodiacs to do a tour of the surrounding waters and icebergs and to venture onto land to experience the penguin colonies and seals first hand. For me, the penguins were the highlight of my trip. They are such inquisitive little creatures that they actually approach you for a look and then waddle off to go swimming or steal stones from each other’s nests. This particular activity is hilarious to watch, just like I’ve seen on a David Attenborough documentary on penguins. We were also lucky enough to spot the first chicks hatched for the season. Whilst we were anchored in one cove, a group of stand- up paddle boarders were out on the water and experienced something I’m sure none of them will ever forget. A humpback whale slowly and gracefully rose from the deep waters between them, had a look to see what they were doing and then just as gracefully submerged and went on its way. Humpbacks are known as the gentle giants of the ocean and this was living proof of it. Whilst in Antarctica we were given the opportunity to visit research huts, an historical dwelling which provided a snapshot of how the famous explorers like Amundsen and Shackleton lived and another post office! This post office is definitely the southern-most post office in the world! We sent postcards back to Australia and now wait eagerly to see how many months they take to arrive. 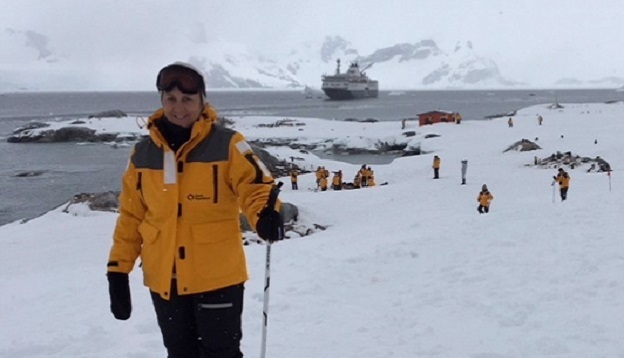 Since returning home I have told many friends that travelling to Antarctica was a life changing experience for me. It is not like anything else I’ve ever done, even though I have travelled extensively throughout the world. I definitely felt safe at all times, I know I walked in David Attenborough’s footsteps on many occasions and I saw hundreds (if not thousands) of penguins. I urge anyone with even the slightest interest in Antarctica to ‘take the plunge’ and book a trip of a lifetime! 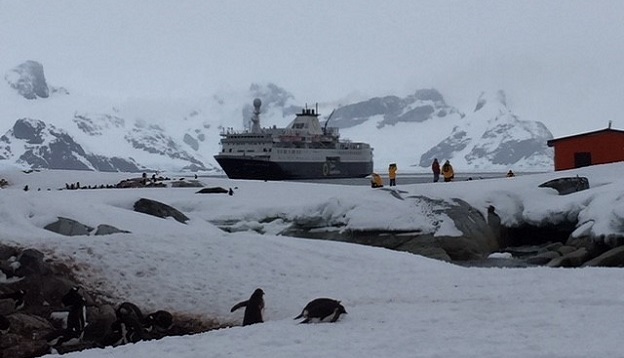 Join a voyage of discovery to Antarctica - our planet's last frontier - a mysterious and virtually pristine paradise. Experience massive rookeries of penguins, pods of whales gliding through the cold waters and dramatic landscapes floating off into the distance. This trip will be like no other…… and a memory of a lifetime.